During our nation’s early years, there were many times when we found it necessary to build forts to protect the people in the area. The forts housed the armies and also took in civilians when needed. 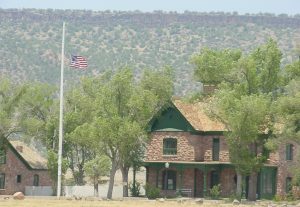 In 1870, the government built a military post four miles south of what is today, Whiteriver, Arizona. The fort was named Camp Ord, and was named after General O.C. Ord, Commander of Arizona when it was built in the spring. Just a few months later in August, the name was changed to Camp Mogollon, then Camp Thomas in September. It seems almost comical that the name would change so many times, but that was how things were done then, I guess. The post received it’s final name…Camp Apache on February 2, 1871, as a token of friendship to the Apache Indians. Ironically, the soldiers at the fort would soon spend many years at war with these same Indians they were trying to befriend. 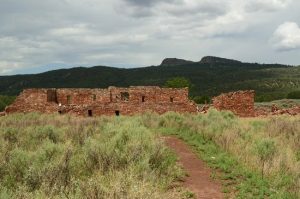 The fort’s initial purpose was to guard the nearby White Mountain Reservation and Indian agency. The fort was located at the end of a military road on the White Mountain Reservation. Right next to that was the San Carlos Agency. 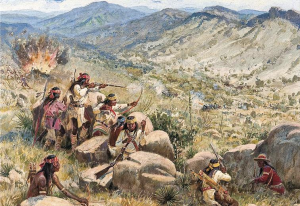 Both reservations would become the focus of Apache unrest, especially after troops moved the troublesome Chiricahuas from Fort Bowie to the White Mountain Reservation in 1876. The area was in constant turmoil, mostly because the reservations were noted for their unhealthful location, overcrowded conditions, and dissatisfied inhabitants. Inefficient and corrupt agents added to the problem, and friction between civil and military authorities grew. Several attempts to turn the nomadic Indians into farmers, and an influx on the reservations of settlers and miners only added to the problem, and battles became the normal everyday event. As a result, many of the Indians left the reservations to resume their hunting, gathering, and raiding lifestyle, creating a public outcry from the settlers. In 1871, General George Crook was named commander of the Department of Arizona. Crook had earned a reputation as an Indian fighter in the Snake War in Idaho and Oregon. Crook quickly realized that his soldiers were no match for the fierce Apache he was sent to subdue, so he made his first trip to Fort Apache. 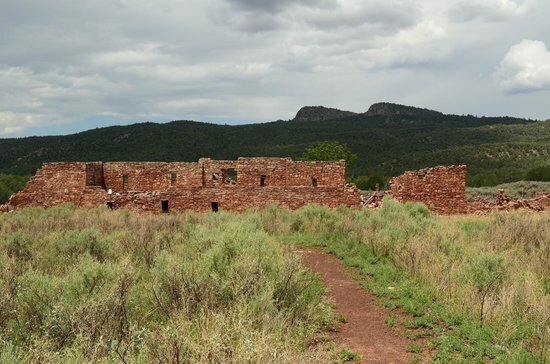 At the reservation, he recruited about fifty men to serve as Apache Scouts. These men would play a key role in the success of the Army in the Apache Wars which ensued for the next 15 years. After recruiting the scouts, Crook prepared for his Tonto Basin campaign. Then he moved on to Camp Verde to implement his tactical operations there. During the winter of 1872-1873, Crook sent a number of mobile detachments, using Apache scouts, to crisscross the Tonto Basin and the surrounding tablelands in constant pursuit of renegade Tonto Apache and their Yavapai allies. The campaigns forcing as many as 20 skirmishes. In all some 200 Indians were killed. The battles finally began to wear down the Indians. 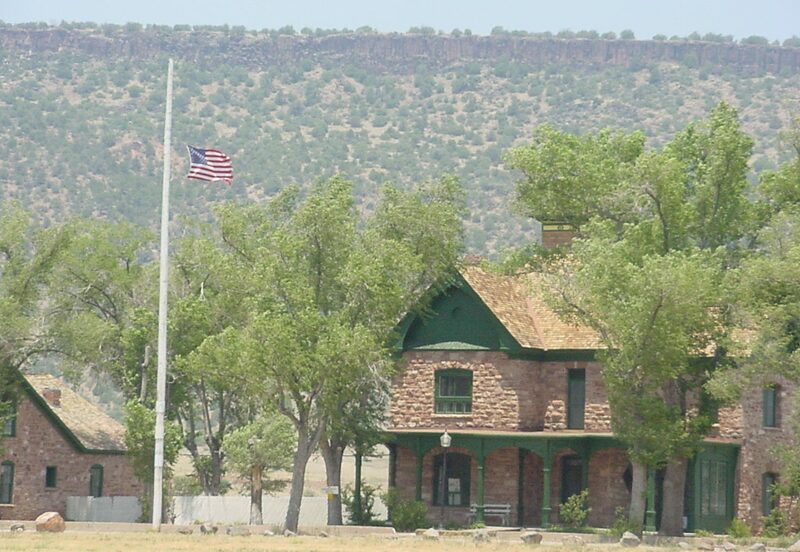 On April 5, 1879, Camp Apache had gained enough significance that it was renamed Fort Apache. The battles with the Apache continued as the soldiers fought various renegade bands that included such famous warriors as Geronimo, Natchez, Chato, and Chihuahua. 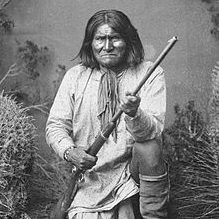 It was only after Geronimo was captured for the last time in 1886, that the Apache Wars finally came to an end…and with it the need for Fort Apache. Nevertheless, it remained active until 1924. Then it was closed and the area given back to the reservation.